The Tehreek-e-Labbaik Pakistan is marching towards Islamabad as a protest against a plan to hold a blasphemous cartoon competition in the Netherlands. 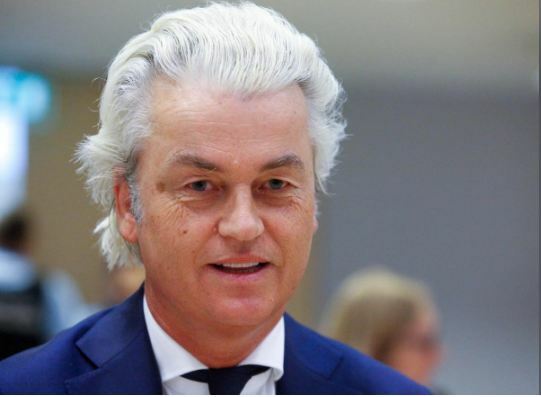 Dutch politician Geert Wilders is planning to hold the cartoon competition. The TLP, a group led by firebrand cleric Allama Khadim Hussain Rizvi, secured over 2.2 million votes in the July 25 election. It is demanding the expulsion of the Dutch ambassador from Pakistan and severing diplomatic ties with the Netherlands. 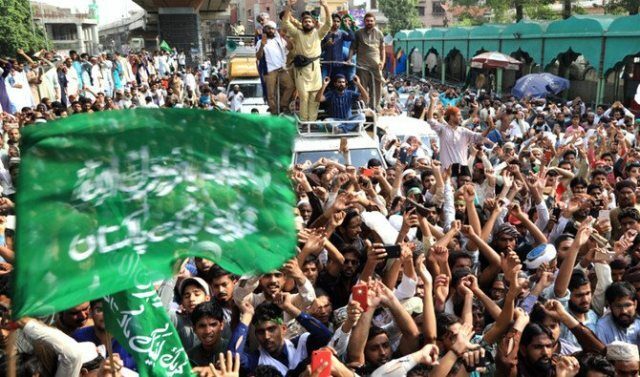 Several thousands of its supporters had gathered in Lahore on August 29 and started their march from Data Darbar−the shrine of Hazrat Data Ganj Bakhsh. TLP leaders Khadim Hussain Rizvi and Pir Afzal Qadri are leading the protest march. “The Dutch ambassador should be immediately sent home,” TLP’s spokesman Ejaz Ashrafi said, adding that the group will end its march only when the government accepts their demand. On August 29, a team of government members led by federal minister for religious affairs Noor-ul- Haq Qadri met the TLP leaders in Lahore and requested them to stop the march. “Our leaders were told that the foreign office as well as Foreign Minister Shah Mehmood Qureshi is raising the issue on the diplomatic front,” a TLP member told SAMAA Digital. However, TLP leader Pir Afzal Qadri declined to accept the government’s request. On August 28, Foreign Minister Shah Mehmood Qureshi had contacted his Dutch counterpart and told him that “such acts spread hate and intolerance”. The Dutch government has already distanced itself from the competition. The TLP is the political face of Tehreek-e-Labbaik Ya Rasool Allah which was formed in year 2016 after the convicted murderer of Punjab’s governor, Mumtaz Qadri, was executed. The group first appeared in Punjab in 2015 as Tehreek-e-Rehai Mumtaz Qadri (movement for Mumtaz Qadri’s freedom) and it later evolved into the TLYR. The group demands death for blasphemers and strict implementation of its version of Islamic laws in the country. In November 2017, the TLP staged a 21-day sit-in at the Faizabad interchange in Islamabad against a minor change in the oath lawmakers take. The sit-in ended only after the military acted as a mediator for an agreement to end the protest and the PML-N government removed its law minister Zahid Hamid. The opposition parties, including the PPP and PML-N, see the TLP as a threat to the country’s democratic set-up. They say the group was launched to dent the vote bank of mainstream parties. The TLP denies taking any help from the establishment. “What is the establishment? 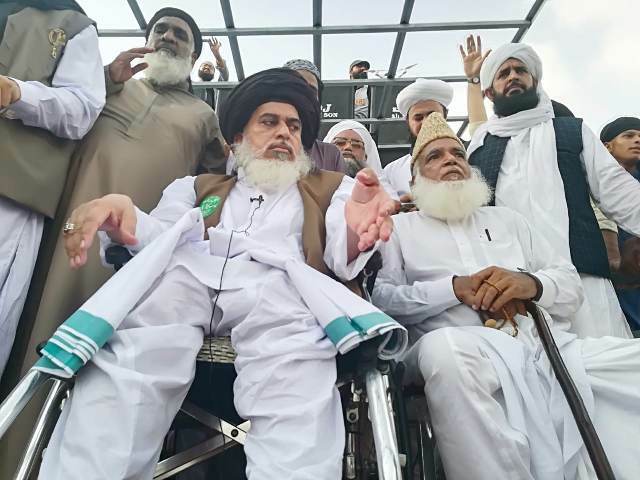 I think we should sit again and you tell me what this establishment is?” Khadim Hussain Rizvi told SAMAA Digital in an interview a few days ago.